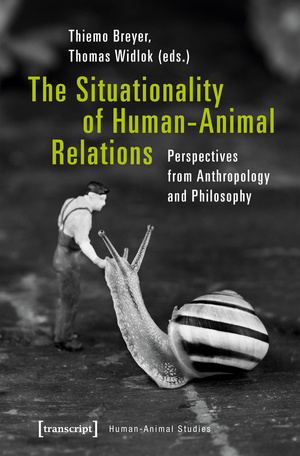 In this paper, I want to focus on what humans and specific animals have in common. Concretely, I will try to investigate in what sense humans and some (non-human) animals (can) share lasting situations and therefore share habits acquired in these situations. As such, I want to argue that one essential characteristic of such situations, namely the one that makes it sustainable and particular at the same time, is the formation of habits in both humans and animals. In the first part of my paper, I will present the general conditions of embodiment that human and animals have in common and that make it possible to share situations. In the second part, I refer to examples of concrete situations we (can) share with animals. Consequently, I want to argue that we not only have experiences and habits in common with animals, but rather that we can share experiences and habits in a stronger sense, that is to say, that we develop habits together in repeated cooperation.